IPO ANALYSIS : TAKSHEEL SOLUTIONS LIMITED - NON COMPLIANCE SOLUTION COMPANY. AVOID. Echoing integrity, this is the company’s logo /slogan. The dictionary meaning of integrity is - the quality of being honest and having strong moral principles. Looking at how the company has been managed all these years indicates that the company neither is honest nor have any moral principles. Taksheel is in the business of providing solutions. However the Taksheel has miserably failed in finding solutions to comply with the statutory obligations. Non-compliance and/or late compliance with the regulations pertaining to certain mandatory requirements under the relevant regulations of FEMA in relation issue of shares to foreign entity by way of share swap. Late Compliance and/or Non-compliance by the Promoters with the relevant regulations pertaining to certain mandatory requirements under the regulations of FEMA in respect of certain filings for investment in overseas subsidiary. Non-compliance and/or late compliance with the regulations pertaining to certain mandatory requirements under the relevant regulations of FEMA for capitalization of export receivables. Non-compliance and/or late compliance with the regulations pertaining to certain mandatory requirements under the relevant regulations of FEMA for investment by the erstwhile over seas borrowings. Non-compliance with the regulations pertaining to obtaining prior approval of FIPB in relation to issue of shares to Lexicon Private Limited. Non-compliance with the regulations pertaining to obtaining prior approval of RBI for disinvestment of the shareholding in IBSS Inc.
Non-compliance with the regulations pertaining to obtaining prior approval of FIBP in relation to transfer of shares by Mr. Pavan Kuchana (then an NRI) to Lexicon Private Limited. Non-compliance with the regulations pertaining to obtaining prior approval of FIBP in relation to transfer of shares by IBSS Inc (then an NRI) to Lexicon Private Limited. Statutory dues: As on date of DRHP following are the statutory dues which are due for more than six months and had not been paid by the company and it includes the outstanding statutory liabilities of foreign branch amounting to Rs. 5.18 lacs. FINANCIALS: RS IN CRORES, EXCEPT EPS. NOTE- the Company has not made any provisions for taxes for 2010 and also for 2011, which is perplexing. 1. Taksheel is exposed to concentration risk in terms of geography and number of clients. Company caters to clients based only in United States of America and top 10 clients contributed about 85% of the sales during FY11. 2. As on March 31, 2011, Company had a resource base of 40 employees, which is relative low as company outsourced all on-site jobs to third parties. 3. The company had negative cash flow in the last 5 years. 4. Auditors have qualified on certain matters in the previous years. 5. IPO grade 2 by CARE. CARE says that the grading is constrained by the revenue concentration risk in terms of geography, verticals and number of clients, high reliance on onsite service delivery model through subcontracting coupled with absence of adequate development setup in India, growing protectionist trend in US which might reduce prospects for outsourcing, significantly high level of debtors leading to negative cash flow from operations. Taking into account the amount the company intends to rise and number of equity shares offered the price band would around Rs 140. The revenue growth, EPS are irrelevant as the company has not paid taxes on profit in the last two years. The figures for FY11 appears to be manufactured in view of the IPO envisaged. Thoroughly unprofessionally managed and the only purpose of coming with the issue is to loot the public money. One does not understand why PNB Investment Services (wholly owned subsidiary of PNB) took the mandate to manage this kind of issue. ANOTHER LOOT MAAR IPO – AVOID. IPO ANALYSIS: PRAKASH CONSTROWELL LIMITED - NO 'PRAKASH' IN IT - AVOID. The Nasik head quartered, Prakash Constrowell Limited (PCL) will hit the capital market next week. PCL is engaged in the business of civil construction, infrastructure/industrial construction and real estate development. Majority of its projects have been undertaken within the state of Maharastra. PCL claims to have under taken projects for NBCC, Cancer hospital at Aurangabad and Police training school in Mumbai, among others. The company intends to utilize the IPO proceeds to meet the working capital requirements, purchase of construction equipments, investments in subsidiaries and for general corporate purposes. The working capital assessment (Rs 35Cr from the IPO) appears to be fudged. The projected current asset for FY 12 has been estimated at 50% over the actuals of FY 11. However the current liabilities have been reduced by 50% over the actual figure of FY 11, for FY 12 assessment. This is very unusual. The current liabilities also should have been fairly estimated at higher level, in correspondence with increase in business volume. This assessment appears to be fudged. For the year ended 31-03-11 the company reported an income of Rs 127cr, PAT of Rs 10.65cr and EPS of Rs 12. The figures for the previous year were Rs 116cr, Rs 7.70cr and Rs 9.09, respectively. PCL has relatively moderate scale of operations, fluctuating operating profit margins in the highly competitive industry. Geographical concentration of projects in the state of Maharastra and the client concentration risk. Most of the contracts awarded are from Government of Maharastra/semi government entities. Being an employer in the labour intensive industry, the company is yet to obtain mandatory registration in this respect and also registration for ESI. Auditors have qualified the accounts in the last 5 years. Promoters / promoter group are engaged in similar line of business, there by causing clash of interest. Project not apprised / funded by banks / FIs. The company had negative cash flow in the last 3 years. Average cost of acquisition of shares by promoters is just 0.50 paisa. PCL is a small time family owned, unprofessionally managed company. Real estate / construction sector is going through rough and challenging times. Only those companies with real values will be able deliver at the stock market. The recently listed IPOS in the segment like – Vascon, RPP Infra and Maninfra are quoting discount to issue price. The IPO which has received subscription of 61% till date will close today. The level of subscription in retail segment is pathetic at just 6% of the total shares reserved for the category. Poor quality IPO and very aggressively priced. Stay away from the IPO. Labels: PG ELECTROPLAST IPO CLOSES TODAY. The state run oil and gas exploration behemoth is coming out with an FPO to mop up around Rs 10,000 Cr. The FPO opens on 20-09-11 and closes on 23-09-11. The government is divesting 5% of equity, that is 427 million shares, of Rs 5 FV. Following the FPO, the government’s stake in ONGC will come down to 69.14% from the current 74.14%. The total equity post FPO remains the same at Rs 4278cr. The price band has not been decided. The likely price band would be around Rs 230-250. Retail investors will to get 5% discount. Currently shares are trading at Rs 260 range, with monthly high and low of Rs 289 / 255. CONTENTIOUS ISSUE – PRICING, SUBSIDY SHARING. At present, as per the decision of the government the upstream companies, such as ONGC are bearing 38.5% fuel subsidy burden. The total subsidy amount for 2010-11 is about Rs 78,000 crore. State-run oil marketing companies sell diesel, kerosene and cooking gas at government-determined rates which are often below market rates and upstream firms partly compensate fuel retailers for their revenue losses incurred in supplying crude at a discount. A large part of these losses are compensated by the government through cash subsidy and the balance is absorbed by state-run oil marketing companies. The finance ministry has paid a cash compensation of only Rs 41,000 crore in 2010-11 against the oil ministry's demand for 47,000 crore, leaving a gap of Rs 6,000 crore, which is equitably distributed among both upstream and downstream companies. 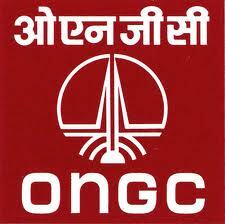 ONGC is one of the Asia's largest and most active companies involved in exploration and production of oil. It is a Fortune Global 500 company. The company accounts for 77% of India's crude oil production and 81% of India's natural gas production. The company also plans to start oil production from its GS-15 block in the Krishna Godavari basin, off Andhra Pradesh coast, by mid-September. For the quarter ended 30-06-11, the company reported revenue of Rs 16,402 and net profit of Rs 4095cr. The company has net profit margin of 25%. The company has excellent track record of dividend payment and bonus history. Government is working on to bring some radical and structural changes in the pricing and subsidy sharing by oil producing and marketing companies. That will largely benefit both up stream and marketing companies. Post listing due to liquidity pressure the share price may react. The disinvestment will not enlarge the equity base. INVEST FOR LONG TERM . T D Power Systems which came out with an IPO in the price band of Rs 256-261 will list its share on 08-09-11. The issue was subscribed around 3 times. It is unlikely to have positive closing on the listing day. Labels: ipo listing t d power. RECOMMENDATIONS VS PERFORMANCE, LAST 10 IPOs. # We had advised to invest only for listing gains. It did list at a premium. Our assessment and recommendations on Brooks, Tree House, Bharatiya, Ready made, Timbor and VMS Ind are proved correct. They are all quoting at discount to IPO price. L &T Finance good buy at Rs 52 level, the certain candidate for banking license. EOW ISSUES RED CORNER NOTICES TO SPEAK ASIA OFFICIALS. The Economic Offences Wing has served Red corner notices on the office-bearers of MLM fraud company Speak Asia. They have also sized various bank accounts containg Rs 150 cr and two luxury cars belonging to the company. Its chief promoter Harinder Kaur and CEO M K Sharma are absconding. According to the latest data the firm has duped over 24 million investors and the scm may cross Rs 14,000cr mark. Labels: eow issues red corner notices to speak asia. The Washington based, global alternative asset managing firm Carlyle has filed documents to go public. The firm which manages 150 plus billion, intends to use the IPO proceeds to repay debt and for general corporate purposes. Carlyle operates across four segments – corporate private equity, real assets, global market strategies and fund of funds solutions – in Africa, Asia, Australia, Europe, the Middle East, North America and South America focusing on aerospace, defense & government services; consumer & retail; energy; financial services; healthcare; industrial; technology & business services; telecommunications & media; and transportation. The Carlyle Group employs more than 1,100 people in 22 countries. Recently the Carlyle Group announced it would invest US$26 million into Value & Budget Housing Corporation (VBHC), a pioneer in the construction and development of affordable entry level housing in India. BROOKS LAB TANKS 39% ON DEBUT. SKS MICRO UNLIKELY TO GET BANKING LICENSE. Operators and interested parties are active again in this counter, on the hope that the company may get a banking license. SKS is most unlikely to get a banking license. It will take another two years to issue a license, by that time the entire net worth of SKS would have been wiped out. Even otherwise, SKS will lose out on the following grounds - Professionalism, Credibility and Integrity, Transparency in doing business, Trustworthiness, Greed and Public perception of being good corporate entity. RBI and Government are aware of its wrong doings in MFI business. Investors are advised to trade cautiously in this counter. Labels: SKS MICRO UNLIKELY TO GET BANKING LICENSE. The color TV and injection moulded components manufacture (OEM) - PG Electroplast is entering the capital market on 07-09-11. The Company intends to issue 57, 45,000 equity shares in the price band of Rs 190-210. The issue closes on 12-09-11. Almondz Global Securities are the BRLM. The Company is part of PG group, promoted by Pramod Gupta. The company initially was manufacturing TV components and in 1996 started manufacturing CTVs for regional brands. The company also manufactures VCD/DVD players, Water purifiers, CFL bulbs and components for PCB in a small way. The company has manufacturing units at Greater Noida, Bhopal, Mohali, Roorkee and Ahmednagar. The IPO funds are intended to be used for pre payment of loans (Rs24cr), expansion of manufacturing facilities (Rs 51cr) and working capital requirements (Rs 15 cr). However this Rs 121cr expansion project has not been appraised / funded by any bank. The company’s net profit margin was around 1% till 2009. In view of the IPO envisaged the margin went up to 3% in 2010 and 5% in 2011. Color TV and injection mould components business contributes 94% of the total revenue. The company derives 54% of the revenue from few customers / related party group. The average cost of acquisition of shares by promoters is Rs 13 /15. The company had negative cash flow in FY 2011. The net profit margin which was very low till 2009 has jumped to 5% in FY11. This kind of improvement in profitability, before the IPO, is to be taken with a pinch of salt. BV of shares as on 31-03-11 is Rs 41. The issue is managed by Almondz Global, who recently managed Bharatiya global Info Media. As against the IPO price of Rs 82, the shares are currently traded at Rs 13. Previously, they had managed Omkar Speciality. The shares, as against the IPO price of Rs 98 are trading at Rs 69. At Rs 190-210, the company is demanding a valuation around 20 PE, on its FY 11 earnings, on the post issue capital of Rs 16.41cr. The shares of well established companies in the segment, with strong brand equity, like Videocon ( 8 PE) and Mirc Electronics (10 PE) are available at much cheaper valuation. Neither the track record of the BRLM nor the performance of the company inspires the investors to take any favorable call. More over the company operates in electronics industry where technological changes are fast and unpredictable. IPO carries grade 3 assigned by CARE. Post listing, shares will settle around Rs 50 level. VASWANI IPO LISTING – NO WIN-WIN SITUATION. The company came out with an IPO for issuing 1,00,00,000 equity shares of Rs 10 FV in the price band of Rs 45-49. The IPO opened on 29-04-11 and closed on 03-05-11. SEBI had deferred the listing of the IPO pending detailed inquiry into the irregularities, in retail segment subscription. Over 3000 retail applications were withdrawn or dis qualified after the bidding had closed. 4. The IPO carries a grade of 2 by ICRA. 5. The BRLM –Ashika Capital is notorious for introducing poor quality IPOs. Investors are in no win-win situation. The IPO is mired with many controversies. In spite of getting bonus shares investors are unlikely recover their investment. Post listing, no fund, bank, Insurance company or HNIs will show any interest in the stock. It will settle at Rs 20 level, unless manipulated. It is losing proposition either way. Labels: VASWANI IPO LISTING – NO WIN-WIN SITUATION.